After a successful run at Regents Park Open Air Theatre this summer, Crazy For You is now at the Novello Theatre. I saw it at Regents Park and was not so crazy about it then. 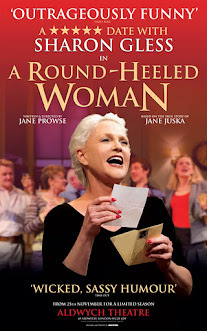 Now in a theatre and away from evening chills, planes flying overhead and the occasional moth, it is a chance to ignore those distractions and focus on the vibrant singing and dancing, and spectacular costumes. There is so much energy on stage conveyed through a series of spectacular dances. Legs kick, flip and dance their way through nearly three hours of entertainment. You will be exhausted just watching it. It was a bloody night at the Courtyard Theatre Hoxton where I finally managed to catch Theatre of the Damned's Revenge of the Grand Guignol. 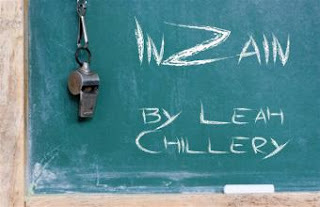 Well it is not all blood and gore, but these four stories all have enough thrills, laughs and shocks to have you and the ice within your favourite beverage all aquiver... So much so that when the lady in front of @johnnyfoxlondon and I blew her nose, we both jumped. Last year's show in Camden was great, but this year was even better with stories that are even more compelling and some great performances. 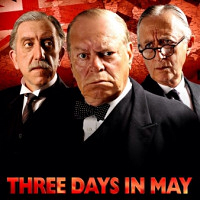 There is a melodramatic story about a mad doctor, a pensioner with a buried secret, a long distance relationship gone wrong and a beautiful woman trapped in a munitions factory. All of the stories have in common the ability to turn something ordinary into the unusual. And through some rather clever lighting and sound effects, even when things seem fine, you were on the edge of your seat. Thursday evening I found myself at the launch event for The Show Must Go On, which is a rather nifty little game that brings together opera, cheap laughs and the iOS platform. Given all three are favourites of mine I downloaded it. 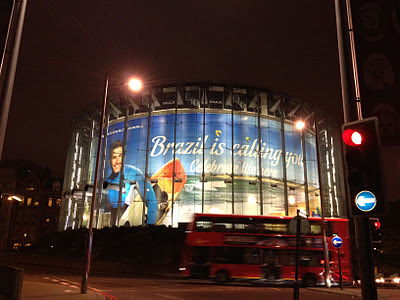 Current advertisement around the Imax informs passers by, "Brazil is calling you."